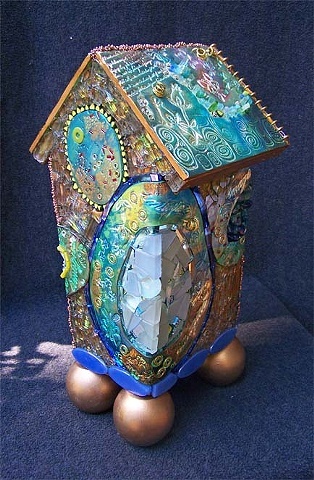 My third birdhouse donation for the Neighborhood Center for the Arts (Grass Valley, CA), For the Birds Auction Fundraiser. A tribute to Joni Mitchell. 16 x 7 x 7"